Fall and Winter months are notoriously spent indoors for most of us. During these months, Americans spend over 90% of our time inside. 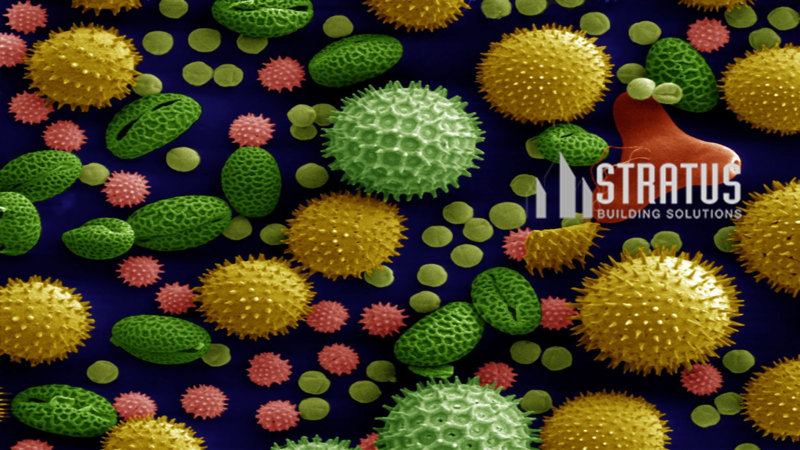 Besides the spread of the typical colds, flus and “Sick Building Syndrome” that can run rampant during this time, allergies can wreak havoc on our health, well-being and productivity. Though we associate most seasonal allergies with pollen in the Spring, Ragweed is the largest allergy trigger in the autumn as it goes to bloom in September and October. Nearly 75% of people who have Spring seasonal allergies will also have them in the Fall, according to WebMD. In addition, more time spent indoors with doors and windows sealing out the cool, fresh air results in higher concentrations of molds, dander, dust mites, and chemicals associated with materials or cleaners (VOCs) which result in negative effects ranging from headaches, fatigue, allergic reactions and asthma. As noted in a previous blog post, repeated exposures to indoor air pollution can create chronic sensitivities or TILT, toxicant-induced loss of tolerance. Employee productivity is one of the costliest items hit for employers and businesses during the fall and winter, far beyond weather related inconveniences. Those suffering from allergies lose about 10% of their productivity according to a study performed by Northwestern University Medical School, conducted during the fall ragweed season. Absenteeism due to severe allergies and illnesses increase this loss during the winter months. Combating the fall and winter seasonal allergies and illnesses starts at the source, according to the EPA. Checking for ventilation issues, emissions from heaters and stoves, use of non-toxic, biodegradable cleaning chemicals and reduction of dust and germs through regular cleanings are all effective, cost-effective ways to reduce employees’ and customers’ exposure to allergens and germs.